Today we have an article from Malcolm Pett of http://greyhorsebot.com. “Don’t put all your betting eggs in one basket.” The art of “nano” systems. I like many people who have betting and creating systems for many years believe in creating very specific systems that find trends based on very specific criteria. I call them “nano” systems. I have 3 main criteria when creating a nano system. It is created using one of the five race types (Flat, Hurdle, Chase, All Weather or national hunt flat). It uses specific criteria like age group or form element or even a particular runner type. It will generally be looking at 30 or less selections a month sometimes as little as 10 or less. Although there is no real criteria on the amount of points a nano system may make a month it is generally accepted that's this will probably be 10 or less points per month. There are two main reasons why you may want to consider creating nano betting systems. The first is it allows you to find niches within a sport like horse racing that has possibly been over looked and so allows you select runners that either offer better value or that allow you to win more often than statistically you should. Secondly it allows you to build up a portfolio of targeted systems that combined could allow you to make more profit than may have be earned by using just one system. But let’s have a look at an example. One of the great things about Nano type systems is that you can be so specific that you can even just choose one day of a week to base your system around. Now I know not everyone will agree that days of the week should matter to a system and it’s not always the case. But in this instance I did find a system that over the last 16 months has produced a profit. Of course it could be a trend and it has had some losing months but it has still produced a profit since I first introduced it on the 22/02/2014. In this case the system used our “in house” rating system (available to users) and used a number of race and form elements to drill down to find this system. In fact the tool I used (the SPB system builder) has improved so much since I created the system that it is probably worth looking at it again. Another system I have just introduced is based around French horses doing well in particular UK races. I haven’t worked out why they seem to do so well but there is an apparent trend at the moment in certain races. One other trend I have just noticed is in races where there are just three runners. I found a profit of 76.473 points could have been made over the last 69 races at BSP (after commission) on certain race types. I have actually put together a guide for you so you can see exactly how to find the selections. This one actually breaks my first rule but it was spotted accidentally when I was researching statistics for number of runners in a race for a client. This is just 3 examples of the type of systems you can come up when looking for a more targeted system. In the next article I will have some more examples of “Nano” systems and some that you can follow automatically. Thank you for reading I really appreciate it. Today we have the first post from new contributor Malcolm Pett. 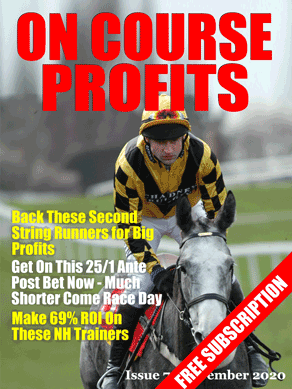 Malcolm explains how we can know the Betfair SP and bet based on Betfair SP before the off! Just about every system you come across on the web would first have been created using past data. If this is the case then the result will be shown using either SP (Industry Standard starting price) or BSP (Betfair Starting Price) for results. There is nothing really wrong with this because it is the only way of giving people the chance to check the results they are seeing as being accurate. But where it does cause an issue and pose a problem is when it is a price sensitive system or a system that relies on being on a particular ranked runner, like the favourite. BSP and SP are calculated at the off. But often this isn't the case. The BSP/SP announced ranking can be different to the just before the off rank. A short test we did with Betfair some time back clearly showed that the rankings can differ by as much as 1 or 2 runners in every 10. …But when you consider you could be following hundreds or even thousands of bets over the course of a year…this could easily change the results you were expecting or the results being advertised. The same is true of price. The price before the off is often different to BSP/SP causing even more inaccuracies in your system. So what can you do to make sure you are on the correct runner or within the correct price range? You may already know that just as Betfair's market goes in-play the BSP price and ranking is made available through their API. So we have developed a great feature on the Grey Horse Bot that allows the bot to read the BSP price and Ranking as soon as it happens. This gives the Grey Horse Bot user the opportunity to choose which ranked runner to bet on or to only place a bet into the market if it is within the price range you require. When you create your own system it should be part of your testing to determine if you get better prices before the off or in-play. You can test both automatically with the Grey Horse Bot. Thank you for reading I really do appreciate it. Malcolm is the creator of a number of Betfair automated betting products like the Grey Horse Bot. He also writes articles for Betfair. Apart from automation Malcolm likes creating and testing systems and believes his readers should have all the statistical facts available to make proper informed decisions. If you have any questions about bots or automation please add a comment and we'll try and answer them. We get a lot of questions about how the Mystery Horse Bot is doing, mostly from people who tried it and then quit during a down spell! So today a quick update on how it has fared. We first wrote about the Mystery Horse Bot in June 2013 and that was when it was first available to users. So that's a total of £10,699 for those that started in June and stuck with it.